Thomas J Kelly, D.C., is a chiropractor located in Vancouver, WA. Take the next step and contact Dr. Thomas J Kelly, D.C., for a consultation in Vancouver, WA or to get more information. Matthew Miller, D.C., is a chiropractor located in Vancouver, WA. Techniques: • Chiropractic Biophysics • Diversified • Thompson • Trigger Point Therapy • Traction • Pettibon • Massage • Nutrition Take the next step and contact Dr. Matthew Miller, D.C., for a consultation in Vancouver, WA or to get more information. Todd Ward, D.C., is a chiropractor located in Vancouver, WA. Techniques: • Diversified • Gonstead • Thompson • Trigger Point Therapy • Activator Methods Take the next step and contact Dr. Todd Ward, D.C., for a consultation in Vancouver, WA or to get more information. Douglas C Schaller, D.C., is a chiropractor located in Vancouver, WA. Take the next step and contact Dr. Douglas C Schaller, D.C., for a consultation in Vancouver, WA or to get more information. Paul C Featherstone, D.C., is a chiropractor located in Vancouver, WA. Techniques: • Sacro Occipital Technique • Activator Methods Take the next step and contact Dr. Paul C Featherstone, D.C., for a consultation in Vancouver, WA or to get more information. John Cozy, D.C., is a chiropractor located in Vancouver, WA. Take the next step and contact Dr. John Cozy, D.C., for a consultation in Vancouver, WA or to get more information. Gwen Marsh, D.C., is a chiropractor located in Vancouver, WA. Techniques: • Diversified Take the next step and contact Dr. Gwen Marsh, D.C., for a consultation in Vancouver, WA or to get more information. Shawn Scott Hatch, D.C., is a chiropractor located in Vancouver, WA. Techniques: • Diversified • Trigger Point Therapy • Flexion-Distraction • Soft Tissue Orthopedics Take the next step and contact Dr. Shawn Scott Hatch, D.C., for a consultation in Vancouver, WA or to get more information. C Duane Roberts, D.C., is a chiropractor located in Vancouver, WA. Take the next step and contact Dr. C Duane Roberts, D.C., for a consultation in Vancouver, WA or to get more information. Eric Strehlow, D.C., is a chiropractor located in Vancouver, WA. Take the next step and contact Dr. Eric Strehlow, D.C., for a consultation in Vancouver, WA or to get more information. Reuben James Mickel, D.C., is a chiropractor located in Vancouver, WA. Techniques: • Biomechanics • Spinal Biomechanics • Activator Methods • Koren Specific • CranioBiotic Take the next step and contact Dr. Reuben James Mickel, D.C., for a consultation in Vancouver, WA or to get more information. Bill Hannon, D.C., is a chiropractor located in Vancouver, WA. Take the next step and contact Dr. Bill Hannon, D.C., for a consultation in Vancouver, WA or to get more information. Douglas Forgey, D.C., is a chiropractor located in Vancouver, WA. Techniques: • Palmer Package • Pierce Stillwagon Technique • Sacro Occipital Technique • Activator Methods Take the next step and contact Dr. Douglas Forgey, D.C., for a consultation in Vancouver, WA or to get more information. Gregory Umphred, D.C., is a chiropractor located in Vancouver, WA. Take the next step and contact Dr. Gregory Umphred, D.C., for a consultation in Vancouver, WA or to get more information. Meed West, D.C., is a chiropractor located in Vancouver, WA. Take the next step and contact Dr. Meed West, D.C., for a consultation in Vancouver, WA or to get more information. Thomas B Taylor III, D.C.
Thomas B Taylor III, D.C., is a chiropractor located in Vancouver, WA. Techniques: • Diversified • Gonstead • Thompson Take the next step and contact Dr. Thomas B Taylor III, D.C., for a consultation in Vancouver, WA or to get more information. Matt Todd, D.C., is a chiropractor located in Vancouver, WA. Take the next step and contact Dr. Matt Todd, D.C., for a consultation in Vancouver, WA or to get more information. Roy Deitchler, D.C., is a chiropractor located in Vancouver, WA. Techniques: • Gonstead Take the next step and contact Dr. Roy Deitchler, D.C., for a consultation in Vancouver, WA or to get more information. Spring Stickney, D.C., is a chiropractor located in Vancouver, WA. Take the next step and contact Dr. Spring Stickney, D.C., for a consultation in Vancouver, WA or to get more information. Christopher Mallory, D.C., is a chiropractor located in Vancouver, WA. Take the next step and contact Dr. Christopher Mallory, D.C., for a consultation in Vancouver, WA or to get more information. Peter G Phillips, D.C., is a chiropractor located in Vancouver, WA. Techniques: • Pro-Adjuster Technology • Gonstead • Flexion-Distraction • Palmer Package • Diversified • Motion Analysis (Palpation) Take the next step and contact Dr. Peter G Phillips, D.C., for a consultation in Vancouver, WA or to get more information. Kevin Shearer, D.C., is a chiropractor located in Vancouver, WA. Techniques: • Diversified • Gonstead • Thompson • Manual Adjusting • Palmer Package Take the next step and contact Dr. Kevin Shearer, D.C., for a consultation in Vancouver, WA or to get more information. Jerry J Miller, D.C., is a chiropractor located in Vancouver, WA. Take the next step and contact Dr. Jerry J Miller, D.C., for a consultation in Vancouver, WA or to get more information. Michael Pettet, D.C., is a chiropractor located in Vancouver, WA. Techniques: • Diversified • Spinal Adjustments • Traditional Chinese Medicine Take the next step and contact Dr. Michael Pettet, D.C., for a consultation in Vancouver, WA or to get more information. Paul J Phillips, D.C., is a chiropractor located in Vancouver, WA. Techniques: • Gonstead • Toggle Recoil • Activator Methods • Toftness • Cox • Flexion-Distraction Take the next step and contact Dr. Paul J Phillips, D.C., for a consultation in Vancouver, WA or to get more information. John D Kojis, D.C., is a chiropractor located in Vancouver, WA. Techniques: • Tonal Take the next step and contact Dr. John D Kojis, D.C., for a consultation in Vancouver, WA or to get more information. John C Bauman, D.C., is a chiropractor located in Vancouver, WA. Take the next step and contact Dr. John C Bauman, D.C., for a consultation in Vancouver, WA or to get more information. Paula Smith, D.C., is a chiropractor located in Vancouver, WA. Take the next step and contact Dr. Paula Smith, D.C., for a consultation in Vancouver, WA or to get more information. John A Lewis, D.C., is a chiropractor located in Vancouver, WA. Take the next step and contact Dr. John A Lewis, D.C., for a consultation in Vancouver, WA or to get more information. Carley Adams, D.C., is a chiropractor located in Vancouver, WA. Take the next step and contact Dr. Carley Adams, D.C., for a consultation in Vancouver, WA or to get more information. Susan K Schultz, D.C., is a chiropractor located in Vancouver, WA. Take the next step and contact Dr. Susan K Schultz, D.C., for a consultation in Vancouver, WA or to get more information. Blake Crofts, D.C., is a chiropractor located in Vancouver, WA. Take the next step and contact Dr. Blake Crofts, D.C., for a consultation in Vancouver, WA or to get more information. Paul Reed, D.C., is a chiropractor located in Vancouver, WA. Techniques: • Chiropractic Biophysics Take the next step and contact Dr. Paul Reed, D.C., for a consultation in Vancouver, WA or to get more information. Arthur C Olson, D.C., is a chiropractor located in Vancouver, WA. Techniques: • Palmer Package • Gonstead • Diversified Take the next step and contact Dr. Arthur C Olson, D.C., for a consultation in Vancouver, WA or to get more information. Dr. Scott Brahmer, D.C., is a chiropractor located in Vancouver, WA. Techniques: • Active Release Technique Take the next step and contact Dr. Dr. Scott Brahmer, D.C., for a consultation in Vancouver, WA or to get more information. Ellie E Puariea, D.C., is a chiropractor located in Vancouver, WA. Techniques: • Pettibon • Chiropractic Biophysics • Activator Methods • Thompson Take the next step and contact Dr. Ellie E Puariea, D.C., for a consultation in Vancouver, WA or to get more information. 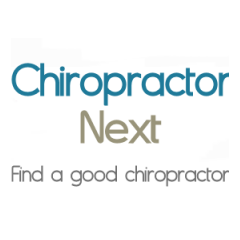 Perry H Guyton III, D.C.
Perry H Guyton III, D.C., is a chiropractor located in Vancouver, WA. Take the next step and contact Dr. Perry H Guyton III, D.C., for a consultation in Vancouver, WA or to get more information. Robert C Mayer, D.C., is a chiropractor located in Vancouver, WA. Techniques: • Gonstead • Pierce Take the next step and contact Dr. Robert C Mayer, D.C., for a consultation in Vancouver, WA or to get more information. James D. Strange, D.C., is a chiropractor located in Vancouver, WA. Techniques: • Diversified • Manual Adjusting • Trigger Point Therapy • Gonstead • Traction • Active Release Technique Take the next step and contact Dr. James D. Strange, D.C., for a consultation in Vancouver, WA or to get more information.